While medical injections are unpleasant and inconvenient, they’re also necessary for people with illnesses like diabetes. But that might not be true for too much longer. 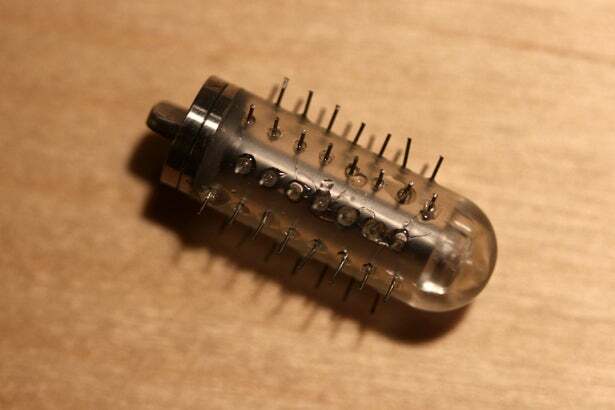 Carl Schoellhammer, 28, has created a pill that would render syringes unnecessary. A graduate student at MIT, he recently won $15,000 at the Lemelson-MIT National Collegiate Student Prize in the health-care category. “When I received the phone call [telling me I’d won], I made them tell me three times to make sure I wasn’t dreaming,” he says. His prize-winning innovation is the Microneedle Pill (mPill), an ingestible capsule covered in microneedles -- that is, needles so small that they’re measured in microns. The pill allows drugs that are typically injected to be delivered directly into the gastrointestinal tract. “The GI tract is a dense network of blood capillaries,” Schoellhammer explains. “The outer layer is a bit of a barrier so the needles are a nice way to introduce a drug into the tissue and then it diffuses and you get systemic delivery.” In layman’s terms: the drug gets into your system faster than it would if administered via injection. Although an image of the pill that was used in testing might remind people of a cactus or a porcupine, the plan is for the pill to be smaller and coated when it hits the market. The coating will dissolve in stomach acid, freeing the needles to introduce the medicine. Once the drugs are delivered, the capsule can pass through the body safely. In the future, though, Schoellhammer hopes he can create the needles out of crystallized sugar. The mPill took an estimated three years to go from concept to prototype, and it’ll be approximately another three to five years before the product is on the market. In the meantime, the innovation has garnered attention. Schoellhammer says that he’s in talks with with a few pharmaceutical companies about the mPill, and he hopes to market it as a diagnostic technology that can be used for a wide range of injections such as insulin and growth hormones. As it turns out, pharmaceutical giant Novartis announced this week that it’s testing similar technology through a collaboration with a startup called Rani Therapeutics. Needle-covered pills aren’t the only thing up Schoellhammer’s sleeve. 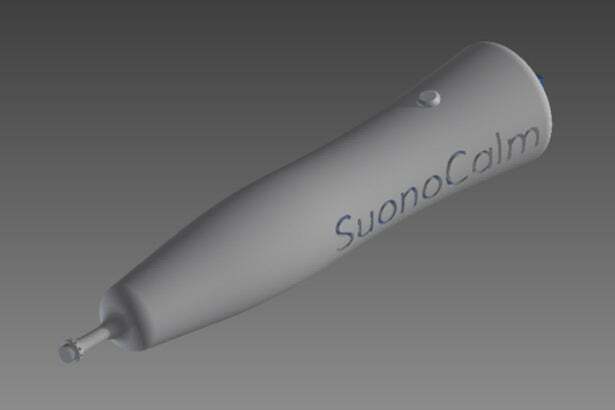 He’s working on the Ultrasound Probe (uProbe), a handheld device inserted suppository-style that uses ultrasound waves to push medicine into the tissues of the GI tract. This allows the body to absorb the medicine faster. Schoellhammer sees this being helpful for the 1 million people in the United States who have irritable bowel syndrome (IBS) as well as other conditions. While he wants to advance the uProbe further and conduct more animal testing, he estimates the product can be on the market in five years. This is a lot of information to digest, but don’t worry -- this brilliant scientist is probably already working on a way to make it easier.